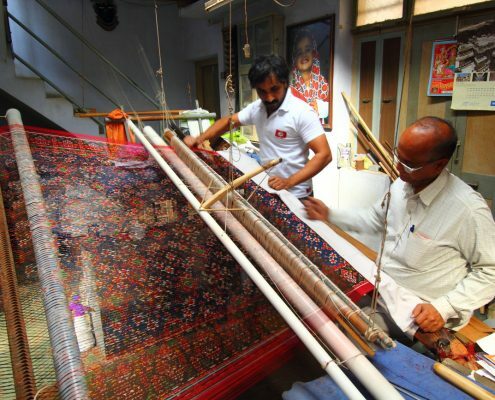 Ahmedabad, known as the Manchester of the east, was a textile hub since 19th century. The Ahmedabad Textile Mill Association, a formidable building designed by Le Corbusier, is one of the best sites to visit for the textile enthusiasts. Built on the bank of river Sabarmati, it stands tall with its testimony to the thriving textile business of Ahmedabad. The calico textile museum is one of the most celebrated textile museums in the world. It houses a huge collection pichhwais, jain art objects, Indian miniature paintings, etc. Ahmedabad had a thriving block printing and tie-dye cottage industries; however, the dye workers prefer screen printing over that nowadays. 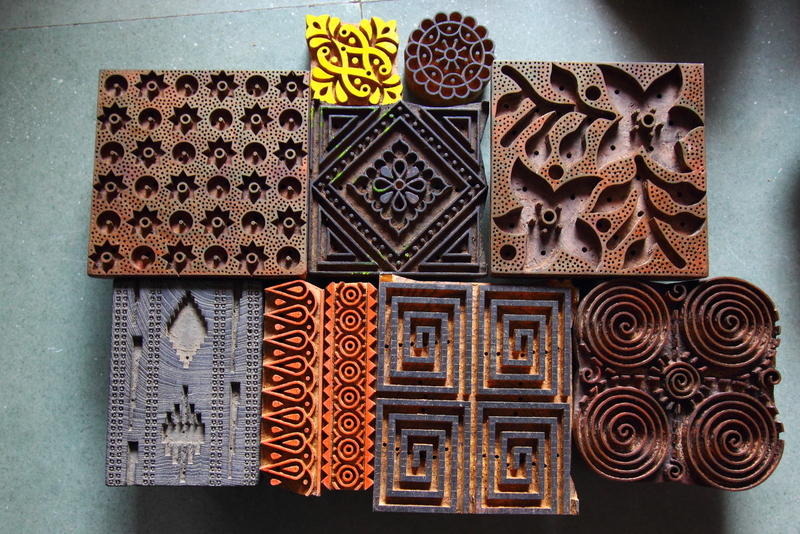 The wood block carvers of Ahmedabad are a must visit site for block printing enthusiasts. Wooden blocks are evened with a smooth, silken texture and patterns are drawn with geometric precision. 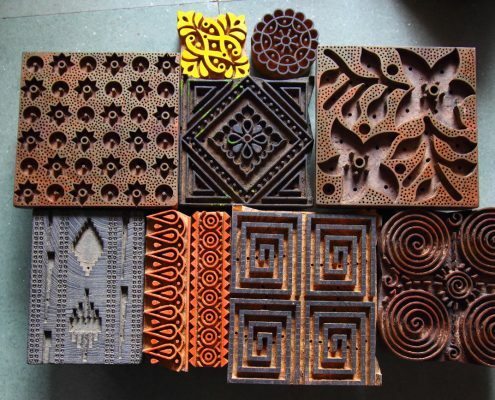 Using knife, chisel, drills, etc, beautiful patterns are etched on its surface indicating traditional motifs as well as contemporary, mainstream designs. City-walk through the old city and its intricacies is the best way to experience the thriving cloth markets of Ahmedabad. The complex architecture, beautiful monuments and pol structures of the world heritage city leaves a lasting impression on an onlooker. 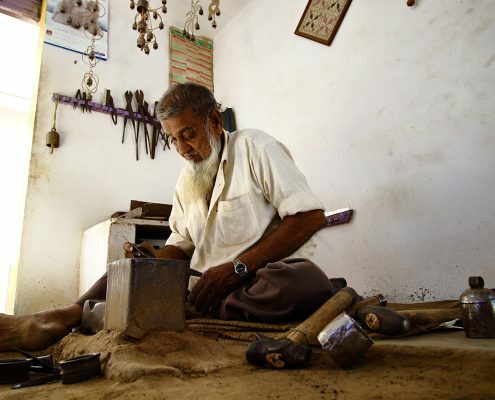 On the periphery of little rann of kutch lies a quaint little village of Dasada. The pastoral Kharapat and Vadiyara Rabaris are known for their exquisite embroidery with herringbone stitches interspersed with small mirrors, using occasional chain stitch for peacocks and other fabrics. 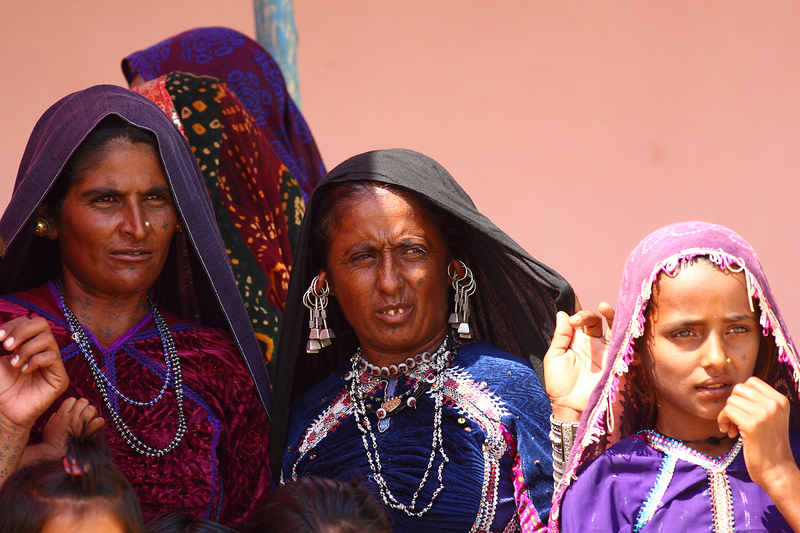 The borders of their veil-like head coverings have large embroidered dots. 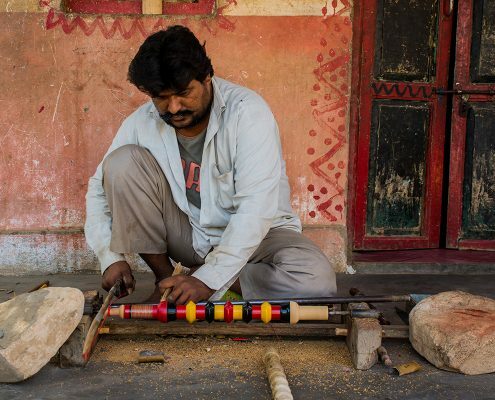 The weavers of Dasada specialize in a unique weaving technique called Tangalio. Woven on a narrow width pit loom, the Tangalio has a single warp but the weft has extra knots. 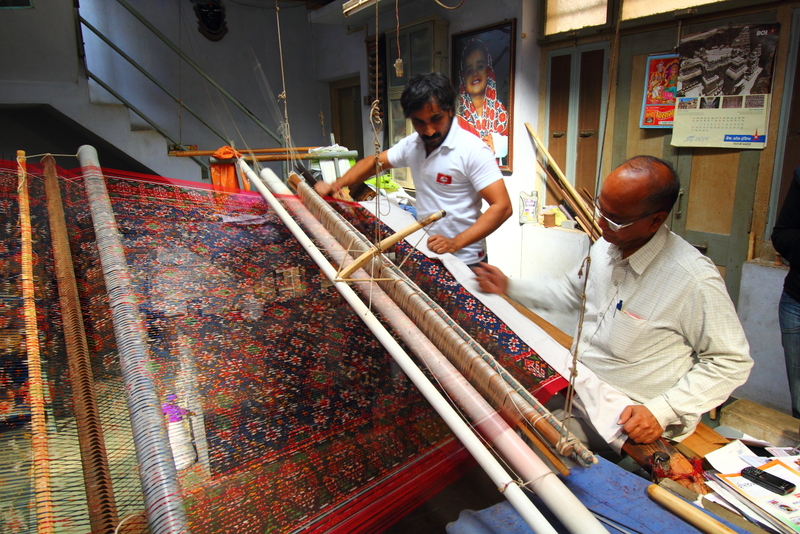 A nearby town of Patan became home to beautiful Patola sarees since 11th Century. The exquisitely intricate double Ikat warp and weft work of Patola sarees is preserved by only one family in Patan and is considered a paragon of artwork throughout the world. 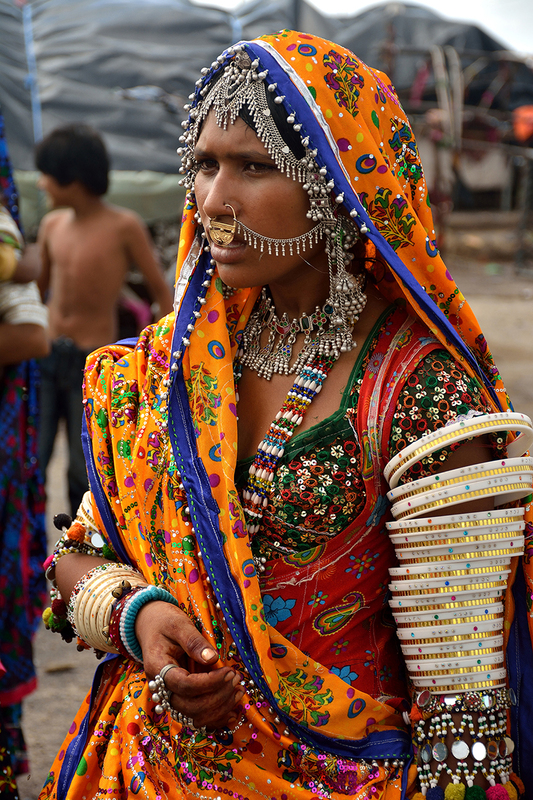 For textile enthusiasts, Kutch is a paradise. 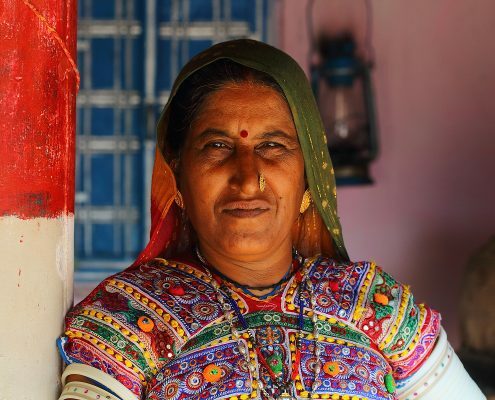 One can meet the block printers, tye-dye artisans, weavers, embroiderers and rogan artists of Kutch to see their artwork steeped in centuries old traditions. One can see the Soof, Paako, Kharek, Kambira and Kudi embroidery of communities in villages. Some villages are known for appliqué or patchwork as well. The Garasia Jath women stitch an array of geometric patterns in counted work based on cross stitch studded with minute mirrors. They are known for their superbly embroidered yokes. Dhaneta and Fakiriani Jaths embroider tight satin stitch bars with concentric circles of a couch stitch. Some artisans also produce embroidered leather products. 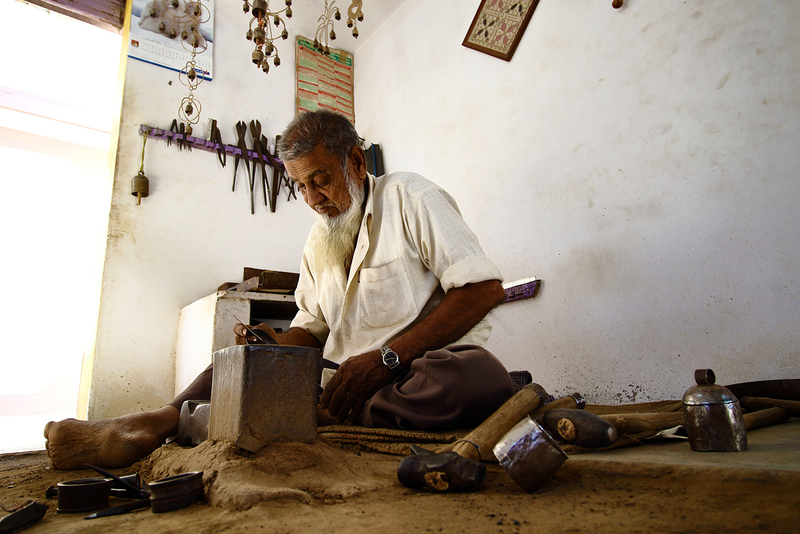 One must visit local artisans practising rare craft of rogan art. 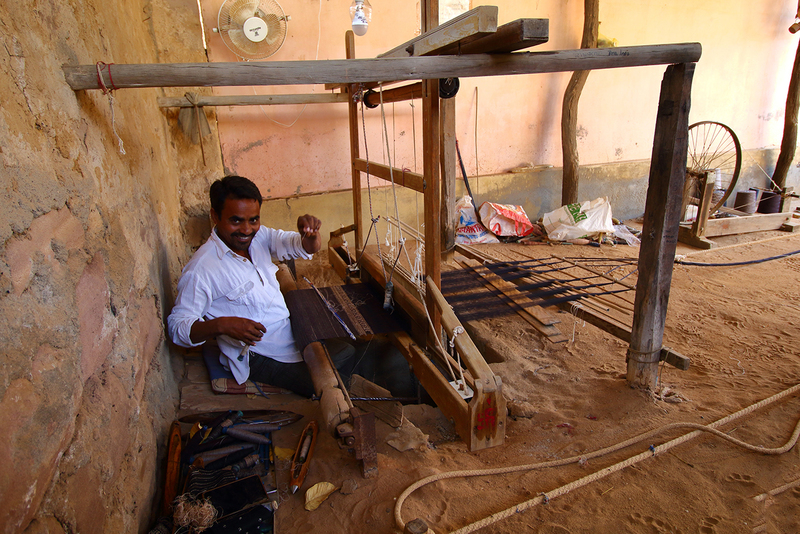 Weaving is also practiced in some of the villages. 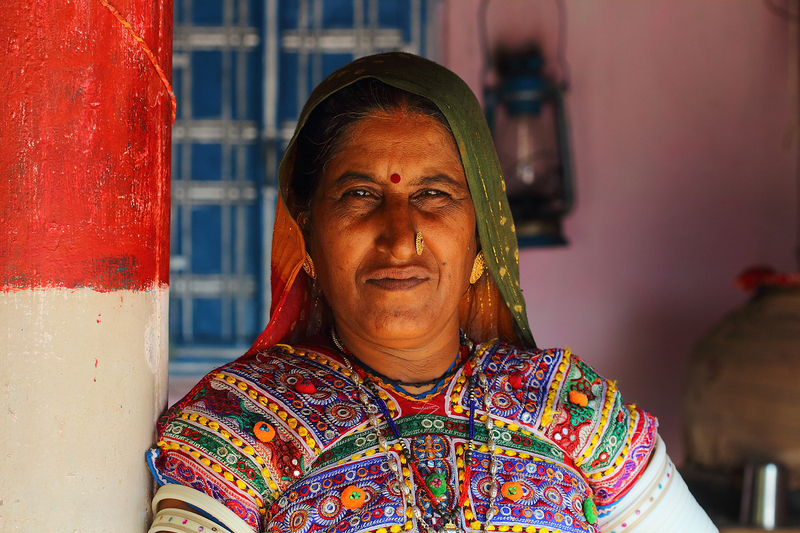 Wadhwan is the center of the largest tye-dye Bandhani work in Gujarat and it is fascinating to see Bandhani cottage industries in every house in the town. 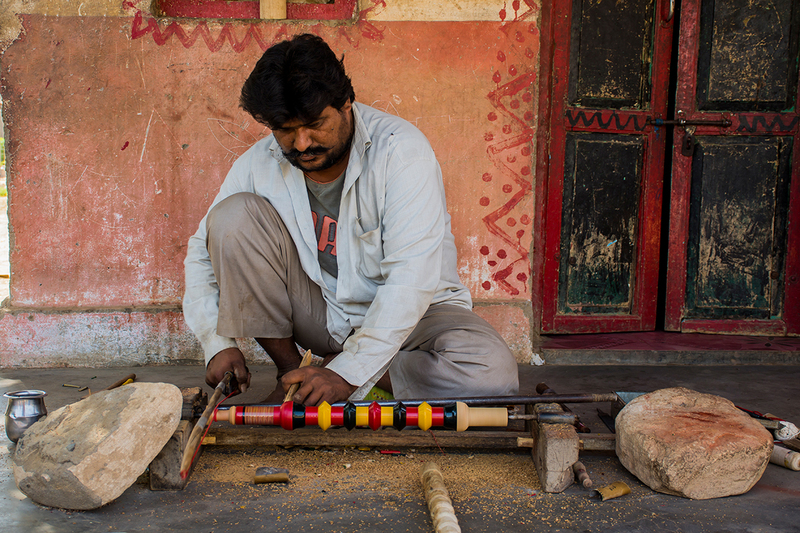 Most of the people in Wadhwan live in the fortified area and are, in some way, involved in Bandhani work. 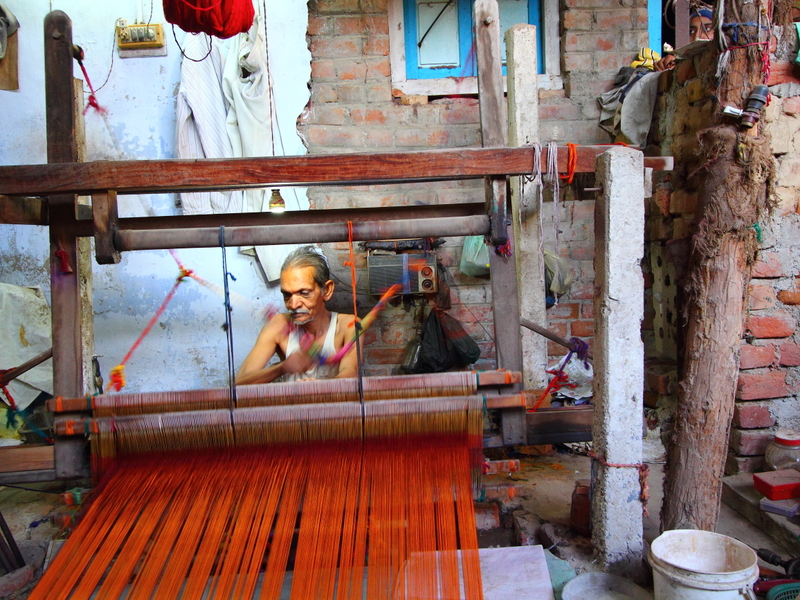 One can see women sitting in their balcony tying the threads before dyeing the cloth. Many houses would have more workshop space than living space indicating their deep individual and community connections with tie-dye work. Sayla in known for its Beadwork, Single Ikat weaving and Khadi hand spun cloth. 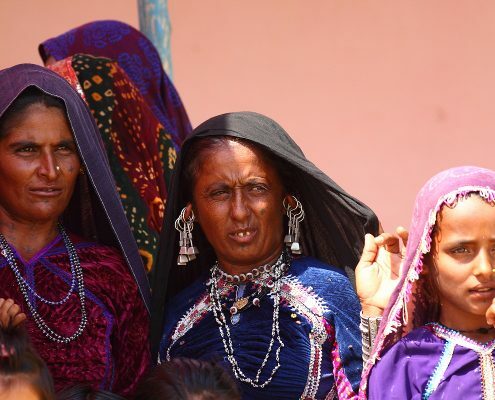 The women of Kathi community specialize in Bead work, the craft of attaching beads with one another to create beautiful jewellery. The weavers of Sayla specialize in Single Ikat weaving. One can visit families working together on the resist dyeing process of the warp or weft fibres, which are then woven on hand looms. Khadi refers to fabrics made from hand spun thread and woven on a handloom. 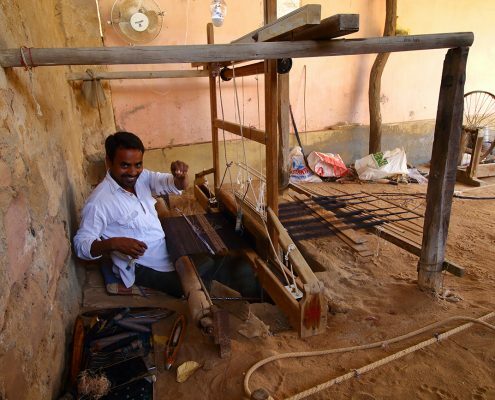 Several Khadi centres in villages around Sayla promote Khadi cotton as a source of self-reliant rural development. 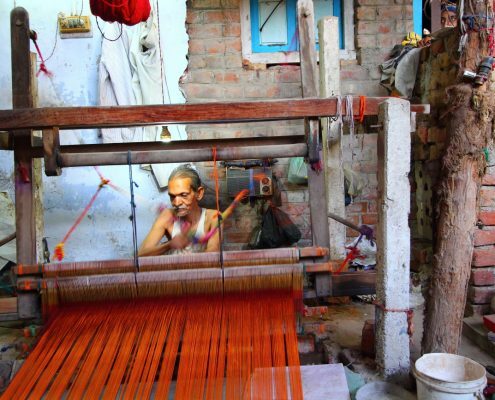 These Khadi weaving centres provide a unique insight on how khadi shaped the movement of Independence in India. Soar Excursions specializes in designing tailor made itineraries to specifically justifying your interest. Highly experienced and qualified textile and craft experts handle all our tours.